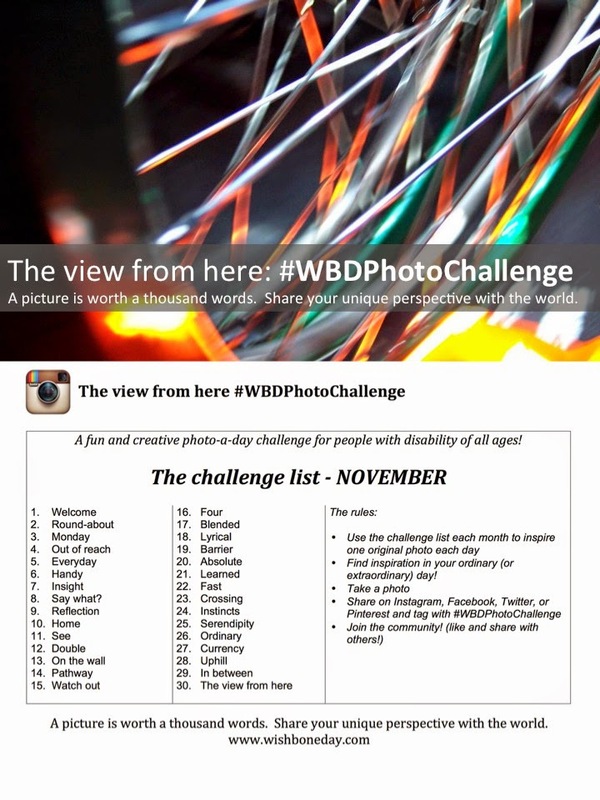 Have you been playing along with the #WBDPhotoChallenge? It's a fun and creative way to share your perspective with the world. 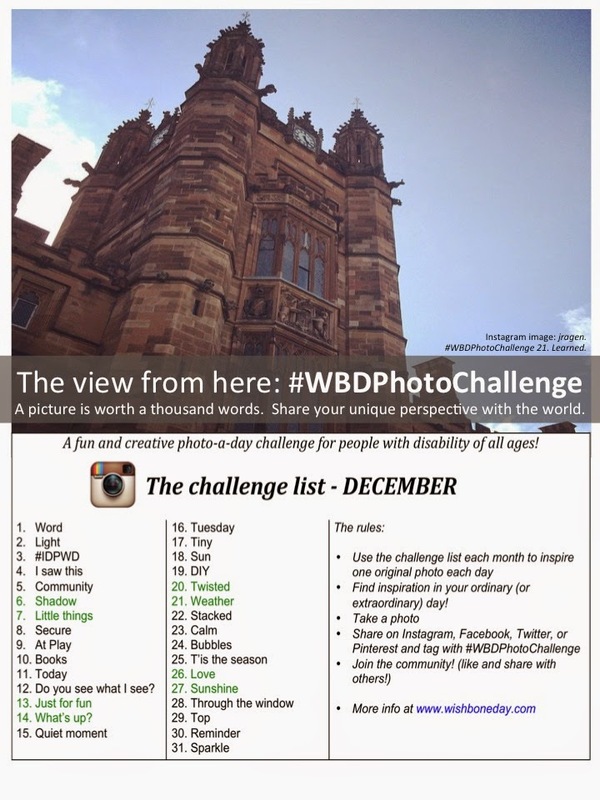 Here is the #WBDPhotoChallenge list for December. International Day for persons with disability is just 1 month 3 days! 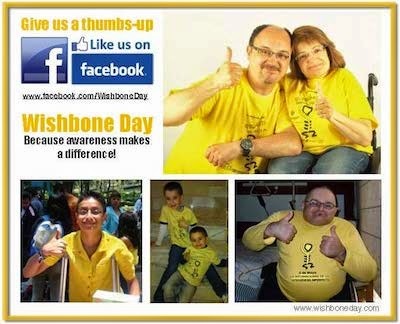 away and international Wishbone Day is fast approaching with only 6 months to go. The view from here #WBDPhotoChallenge is a fun and creative contribution to our international efforts to bring awareness to the diversity of life with disability.